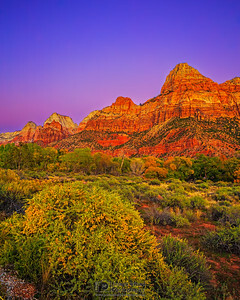 Zion National Park is part of The Might Five, a collection of five famous National Parks in Utah. 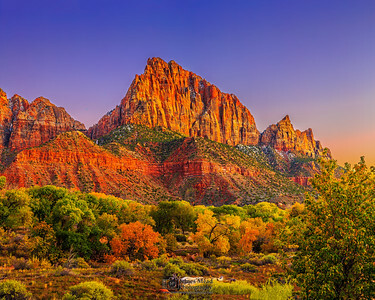 From well known Zion Canyon to East Zion and the Kolab sections in the west, Zion features dark skies, mountains, buttes, mesas, rivers, slot canyons and natural arches. 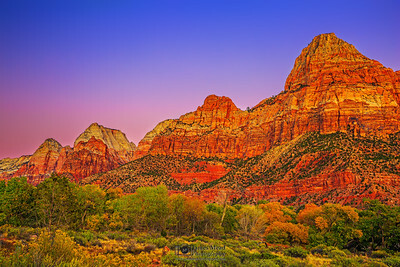 The red and tan sandstone combine with Zion's unique landscape and scenery to produce stunning landscapes at every turn. 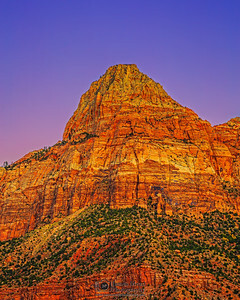 This is photography of Zion National Park. 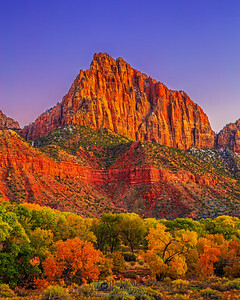 Autumn brings color to the leaves of the Cottonwood trees of Zion National Park as the sun sets over The Watchman and Johnson Mountain. 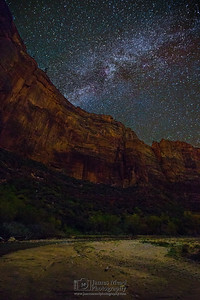 The Winter Milky Way and the Andromeda Galaxy (M31) rise high into the sky over the Virgin River and the Peaks surrounding Zion Canyon (from Left to Right: The Sentinel, Mountain of the Sun, Twin Brothers, Mount Spry, and The East Temple) in Zion National Park. 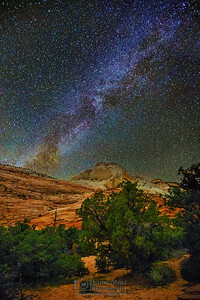 The Milky Way core rises over Abraham Peak, Issac Peak and The Sentinel in Zion Canyon. 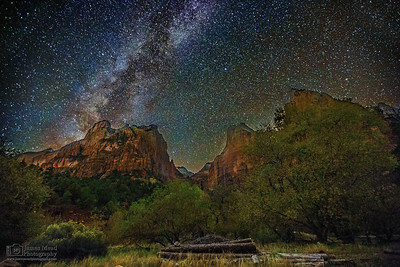 Cotton trees line the Virgin River below the Court of the Patriarchs as the stars illuminate the night sky. 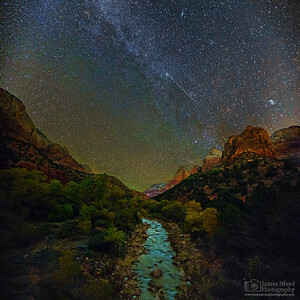 The Milky way and the Andromeda Galaxy (M31) rises high into the sky above Angel's Landing, The Organ, the Touchstone Wall, the Virgin River and Zion Canyon in Zion National Park. 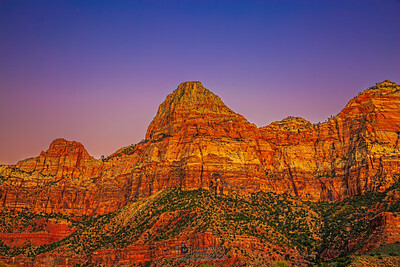 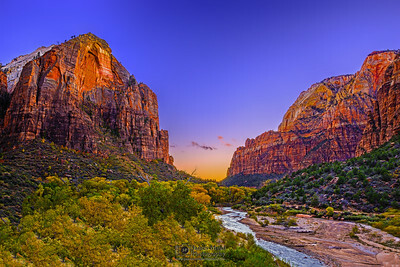 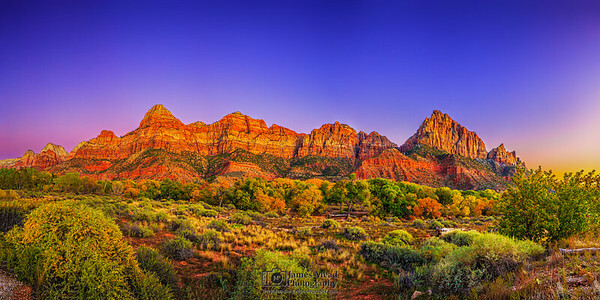 The Sun sets behind Red Arch Mountain, The Spearhead and the Virgin River in Zion Canyon in Zion National Park. 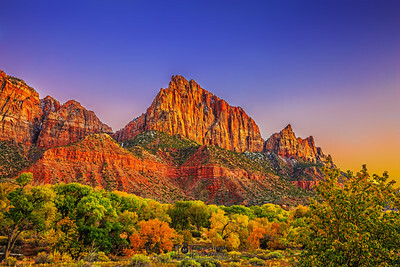 A grove of Cottonwood Trees lines the banks of the Virgin River, displaying their brilliant golden foliage of Autumn. 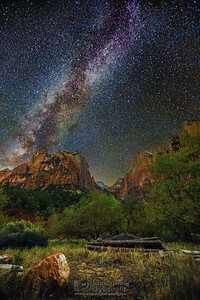 The Milky Way rises high into the sky above the cliffs and mountains of Zion National Park. 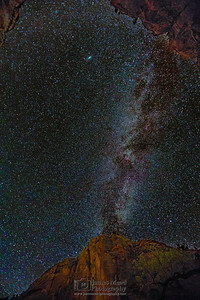 The Milky Way rises out into the night sky from Above the Court of the Patriarchs (from L-R: The Sentinel, Abraham Peak and Issac Peak are visable). 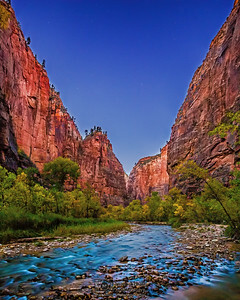 A grove of Cottonwood trees line the banks of the Virgin River below. 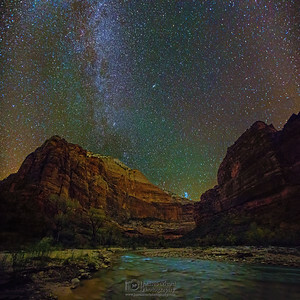 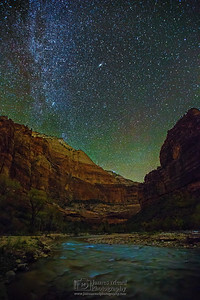 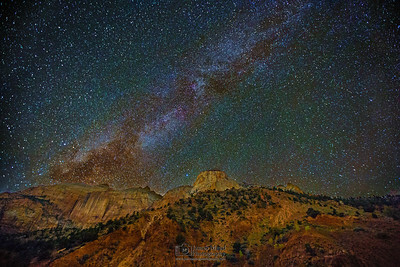 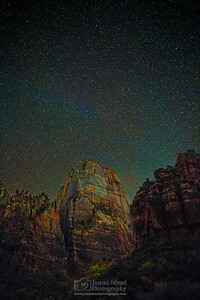 High above the Walls of Zion Canyon the Heavens shine brightly in the night sky. 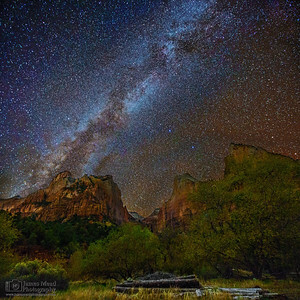 The stars, the Milky Way Galaxy and the Andromeda Galaxy stretch across the sky above the walls of Zion Canyon in Zion National Park.